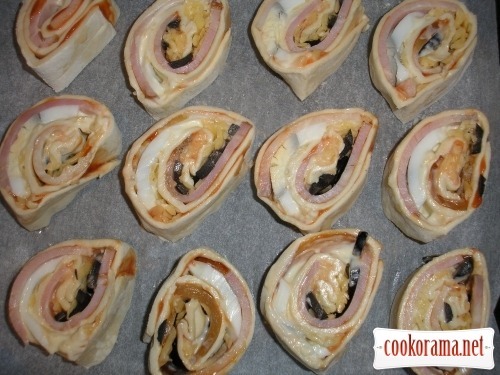 Roll thin layer of dough. 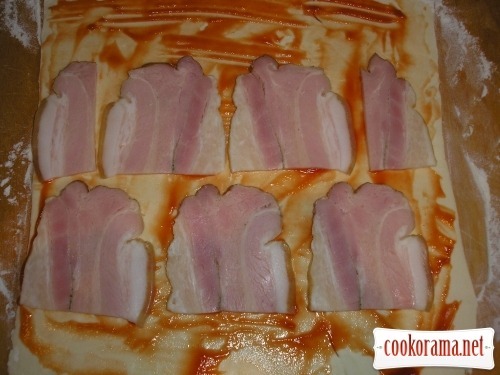 Smear dough with ketchup. Spread finely chopped breast. 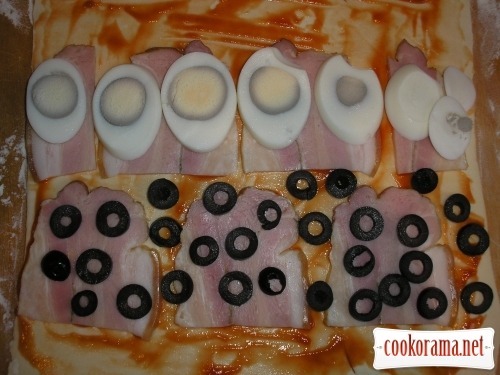 Put on the top sliced olives and eggs. 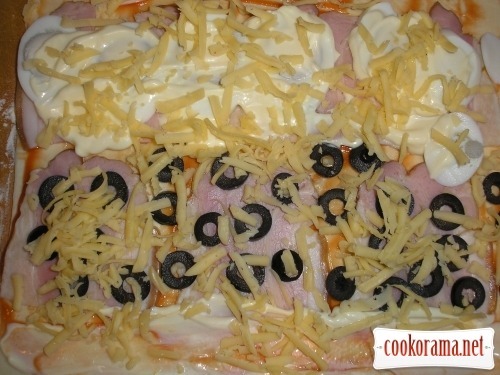 Smear with mayonnaise, sprinkle with grated cheese. Roll the dough. Cut into pieces of 2-3сm wide. Spread them on the covered with baking paper sheet. Bake at 180 degrees for 30-40 min. 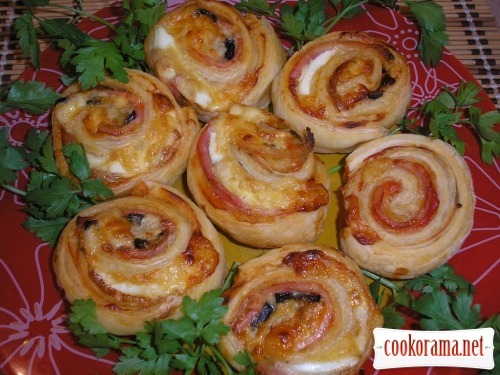 Top of recipe "Twisted pizza"